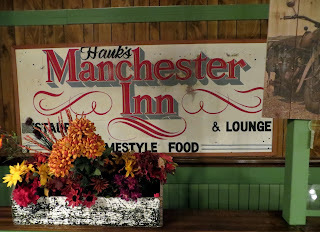 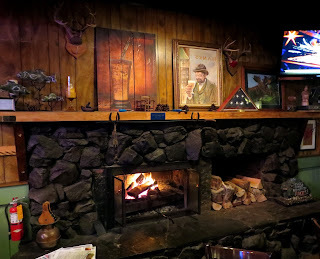 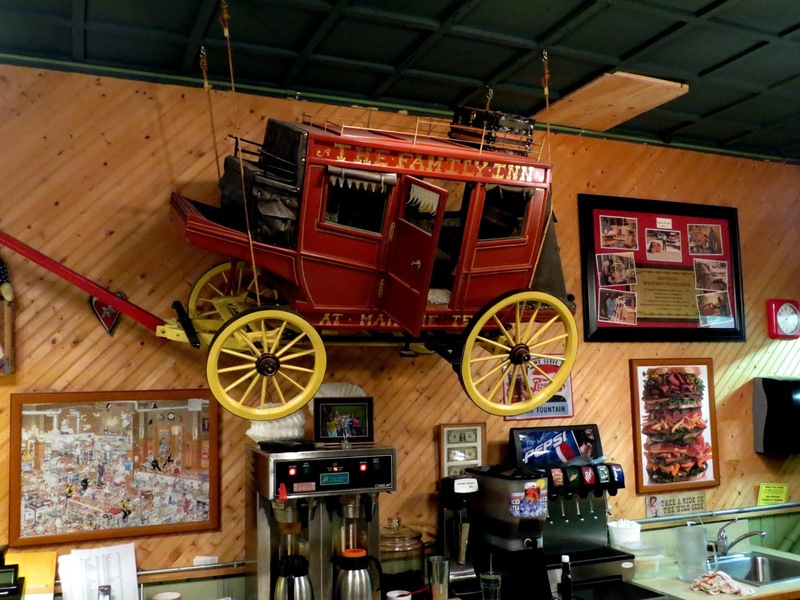 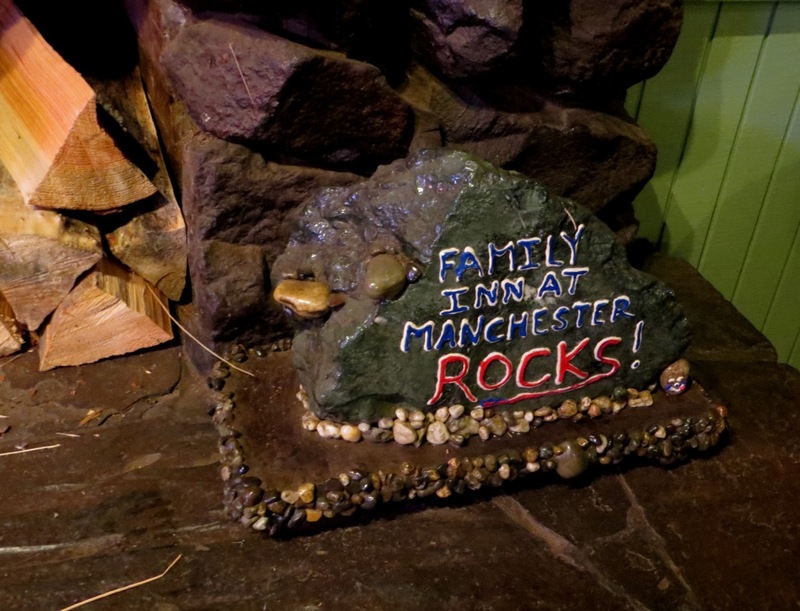 The "Family Inn at Manchester," AKA the "Manchester Inn," is bifurcated into a roadside cafe and cozy lounge with a stone fireplace, collections of shot glasses, and other bric a brac on the walls. There was a medium-sized crowd and a performer playing guitar when we arrived, and at the bar we met Vicki and her friend (whose name I have lost). 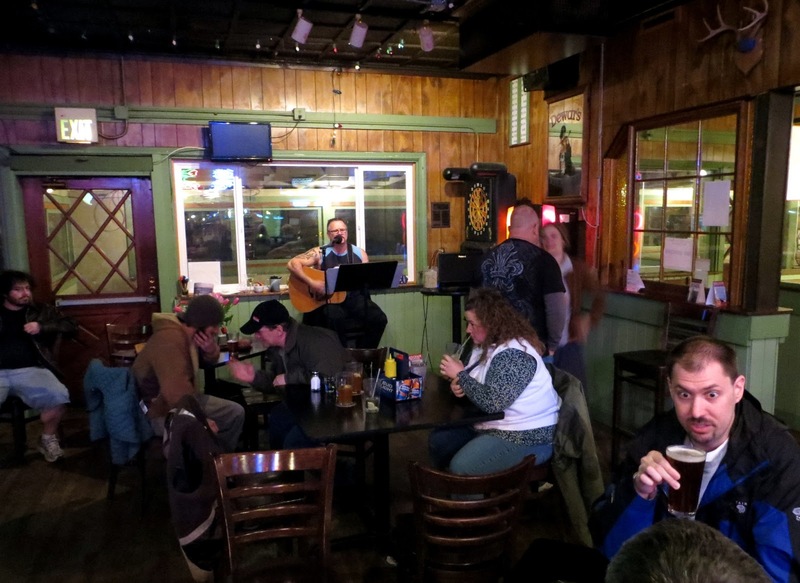 Vicki once found a book describing the best dive bars in Montana, and she and a friend decided to visit every one of them; so you can see how we had an interesting conversation comparing notes. The Family Inn and Manchester Pub next door make a nice, complementary set of casual drinking options.